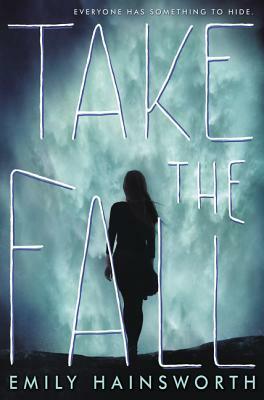 Take the Fall is the classic murder mystery, with just the right amount of creepiness and romance. I fell in love with this book from the very beginning of the prologue, and I couldn't put it down after that. Reading this book was like playing the most interesting game of Clue ever. I was figuring out everything and everyone along with the main character, and even when I wasn't reading, I found myself coming up with theories. The ending left me utterly shocked; something that hasn't happened in a while! I loved this book, and I am definitely picking up Emily Hainsworth's other novels! Twin Peaks meets Thirteen Reasons Why in this gripping and evocative tale of one girl unraveling the mystery of her best friend's murder, from acclaimed author Emily Hainsworth. Fear grips the residents of Hidden Falls the night Sonia Feldman and her best friend, Gretchen Meyer, are attacked in the woods. Sonia was lucky to escape with her life, but Gretchen's body is discovered at the bottom of a waterfall. Beautiful, popular, and seemingly untouchable, Gretchen can't be gone. Even as Sonia struggles with guilt and confusion over having survived, the whole town is looking to her for information. . . . Could she have seen something that will lead the police to the killer? At the top of the list of suspects is Gretchen's ex-boyfriend—and Sonia's longtime enemy—Marcus Perez. So when Marcus comes to Sonia for help clearing his name, she agrees, hoping to find evidence the police need to prove he's the killer. But as Gretchen's many secrets emerge and the suspects add up, Sonia feels less sure of Marcus's involvement and more afraid for herself. Could Marcus—the artist, the screw-up, the boy she might be falling for—have attacked her? Killed her best friend? And if it wasn't him in the woods that night . . . who could it have been? Emily Hainsworth was raised in upstate New York and currently resides in Denver with her husband and daughter.